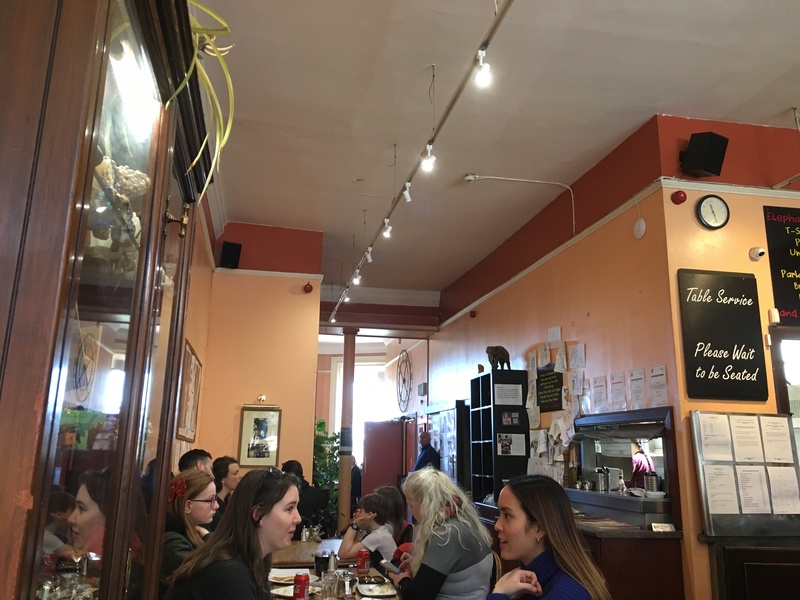 Before heading to Scotland, I had basically promised myself that I would not leave Edinburgh without at least seeing this famous cafe. Commonly known as “the birthplace of Harry Potter,” the Elephant House seems to always be bursting with eager tourists yearning to see where J.K. Rowling supposedly got the idea for her first magical Harry Potter novel. 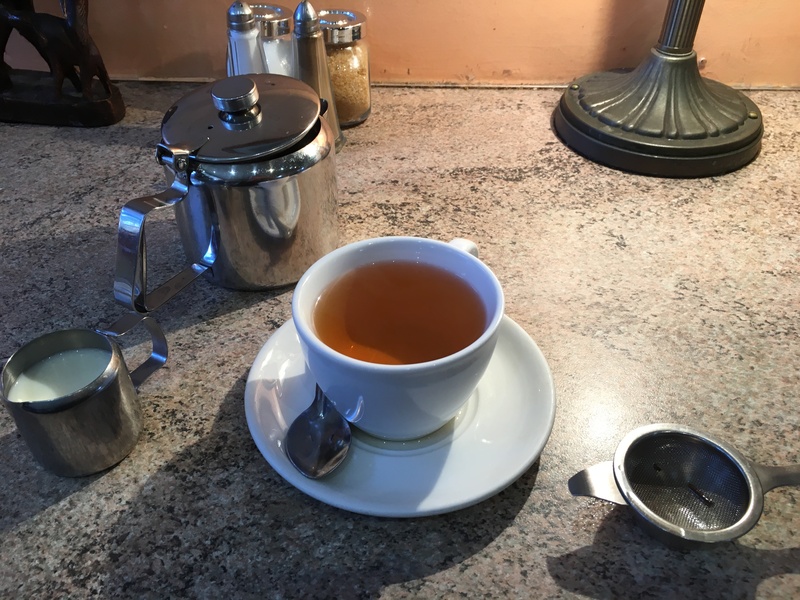 Fortunately my friend and I were seated rather quickly and I was able to enjoy a lovely cup of early grey tea in this charming, inviting, warm cafe. 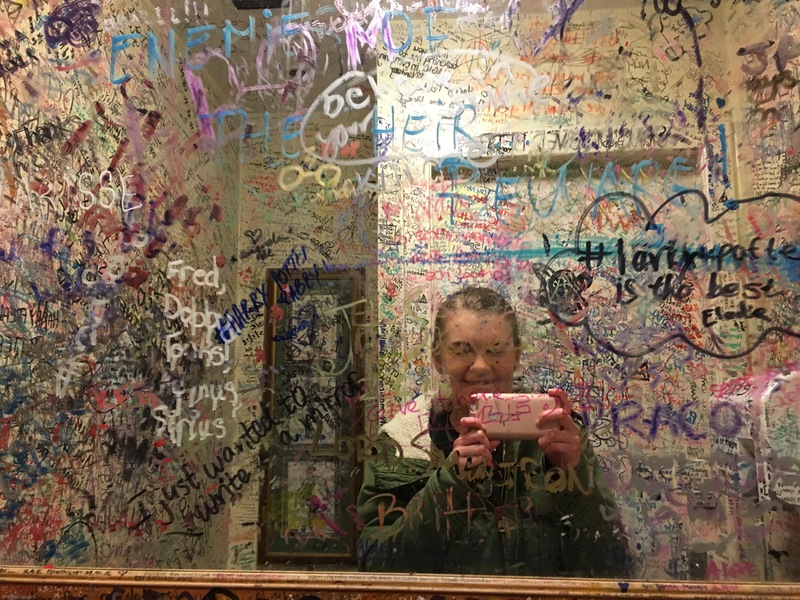 Strangely, the best part of this cafe was the bathroom– I’ve never seen so much Harry Potter-themed graffiti in one place before!! 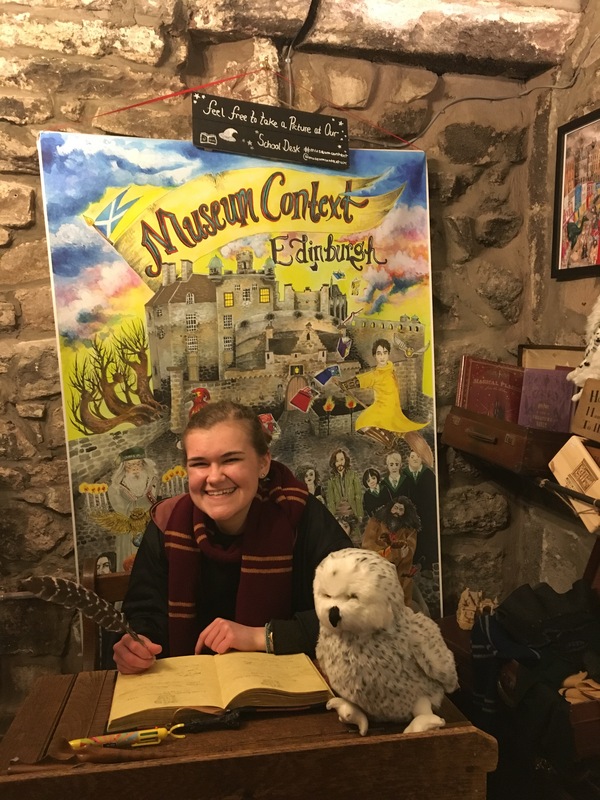 I would recommend the Elephant House to any and all Harry Potter fans visiting Edinburgh. 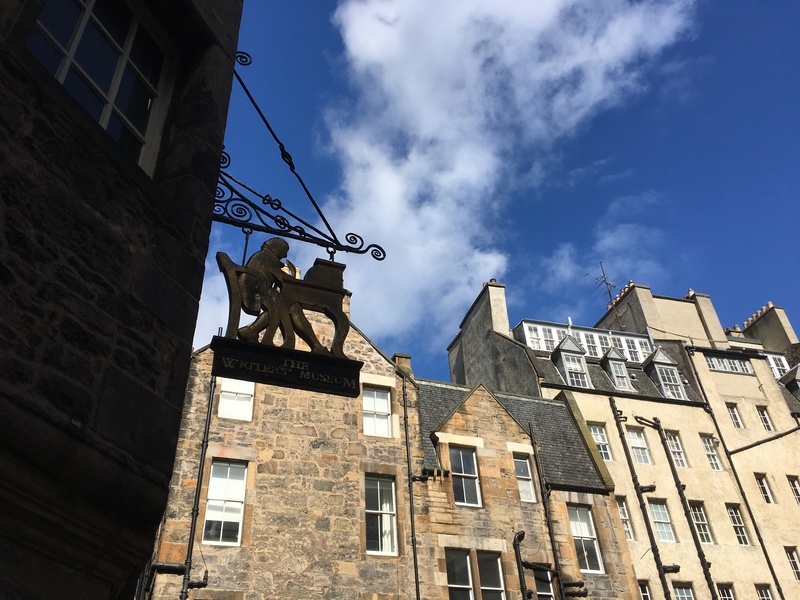 Tucked away in a little corner consisting of small passageways and winding staircases, the Writers’ Museum is a must-see for anyone interested in the literary history of Edinburgh. Not only is this museum thoughtfully curated, but the staff were also so friendly and knowledgeable. I particularly enjoyed the Robert Louis Stevenson parts, since he’s a writer who I was only vaguely familiar with prior to visiting this museum. I had no idea that he produced so much travel writing! Rumor has it that this curved, sloping street was J.K. Rowling’s inspiration for Diagon Alley. After walking down its wide, seemingly never-ending turn I couldn’t agree more! There are also some fantastic Harry Potter shops on this street, including one where you can put on a robe and take a photo pretending to be a wizard. This entire street makes you feel like you’re walking through a movie set–definitely worth strolling down (or up, although that might be more of a hike) at least once! 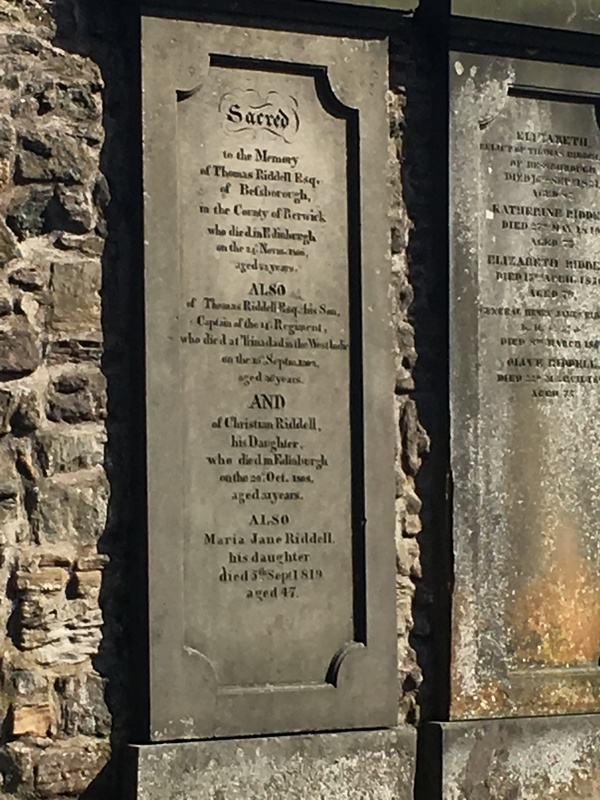 Yet another Harry Potter sight to see in Edinburgh: the grave of Tom Riddle! Learning about Tom Riddle’s back story is one of my favorite aspects of the Harry Potter series, so I was ecstatic when I learned that I would be able to see this literary landmark in person. Unfortunately it was very muddy when we went so we weren’t able to get very close to it. Nevertheless, it was an amazing spot to visit! 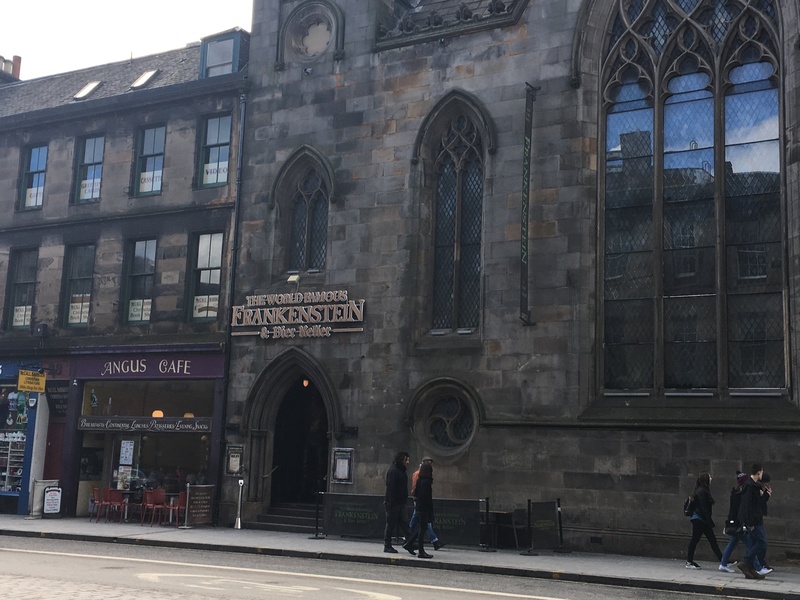 If you are at all into Frankenstein, Halloween, or themed pubs in general, then this is the place for you! The spooky, fun decor is awesome and every so often an animatronic monster comes out from a top balcony. They also have plenty of Frankenstein-themed cocktails. I’m so glad that this happened to be one of my friend’s favorite places to go because otherwise I probably would never have even known it was there! I hope you’ve enjoyed this taste of my Edinburgh experience. There’s so much to do in this city and I know that I merely scratched the surface–all the more reason to go back some day! Click here to check out other posts in my Holly Goes Abroad series! Have you ever been to Edinburgh? What are your favorite things to do there? Let me know in the comments section below! I can’t even count Edinburgh on my list of visited places, since I was only at the train station! I wish I could have stayed longer and done some exploring. Future visits, I guess! Oh no! I feel like that counts for something though, right? 🙂 Definitely worth returning to in the future! 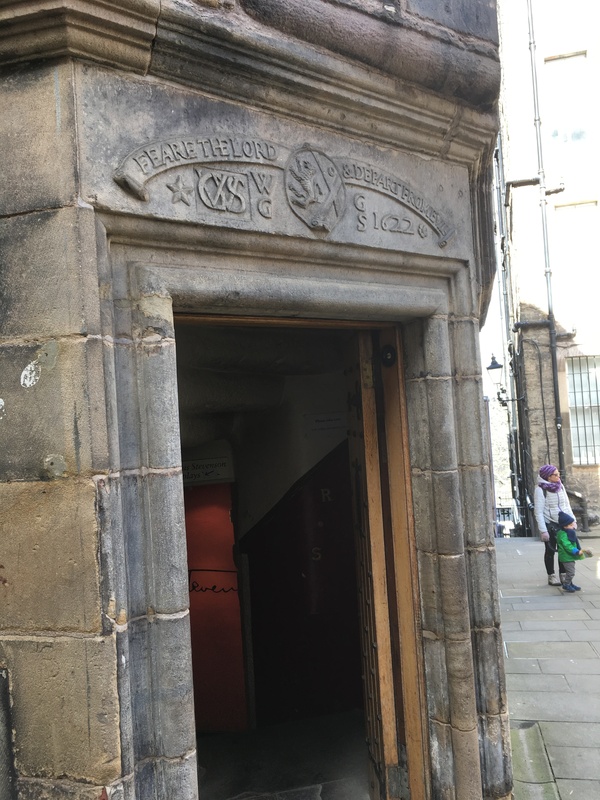 I had no idea Edinburgh was so Potter-centric! It’s definitely on my to go list now. I can’t believe how much mud there was at the cemetery! We spent quite a while searching for the grave, haha. 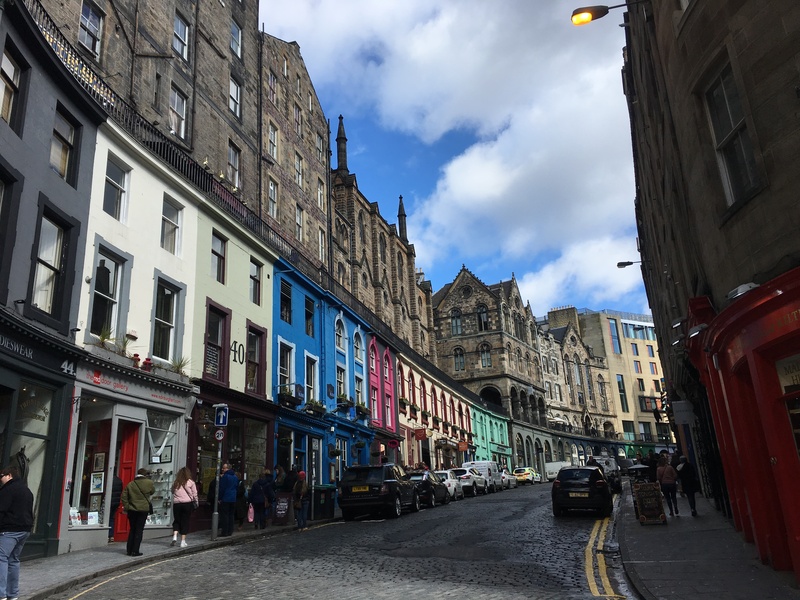 I loved Edinburgh, and I really hope to go back some day. I’m glad you had a chance to go! No problem! 🙂 I would definitely recommend visiting Scotland if you get the chance–so much to see! I adore Edinburgh. 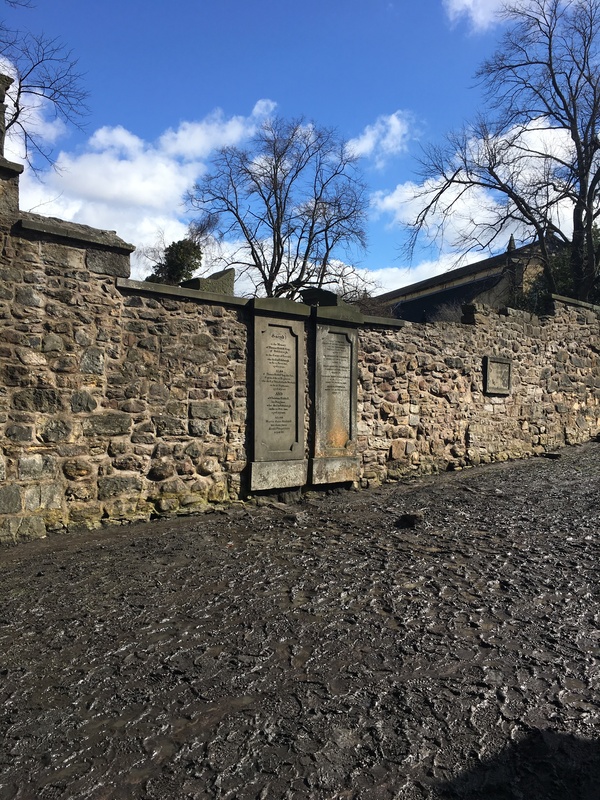 I love simply walking around the Royal Mile, visiting Calton Hill, and taking all the walking tours I can, there’s so much interesting history!